Gandhi, the Mahatma, one of the towering figures of the Twentieth century fighting for the century fighting for the cause of the down-trodden, exercised a tremendous moral force among his friends and foes alike. “The moral influence which Gandhi has exercised upon thinking people may be far more durable than would appear likely in our present age, with its exaggeration of brute force. We are fortunate and grateful that fate has bestowed upon us so luminous a contemporary, a beacon to generations to come”. In the post-Gandhian era, the Gandhian spirit has percolated among different sections of humanity in all corners of the globe. The deeds, ideals and political legacy of this extraordinary man and his role in history continue to arouse unflagging interest. Martin Luther King Jr. in the United States and Nelson Mandela in South Africa present shining examples of the distillation of Gandhian spirit guiding the humanity at large in attempting to rectify the excesses and distortions seeped into the contemporary socio-economic and political order. The Save Ganga Movement, launched from Delhi in 2002, at the initiative of the National women’s Organisation, has grown out of the ecological concerns of society witnessing the disaster caused by the neglect and plundering of our natural resources – rivers, forests, mountains, wild life – for short-tem selfish gains. The Movement has awakened latent susceptibilities of those sensitivie to the environmental assets – human as well as material, so as to initiate a new chapter of eco-friendly development on an ethical scale. The potential significance of this Movement can metaphorically be compared with the phenomenal success of Salt Satyagrah launched by Gandhiji through the Dandi March in 1930; the historic March symbolized the spirit of freedom, a story in resilience to sound a war cry against the tax on salt. 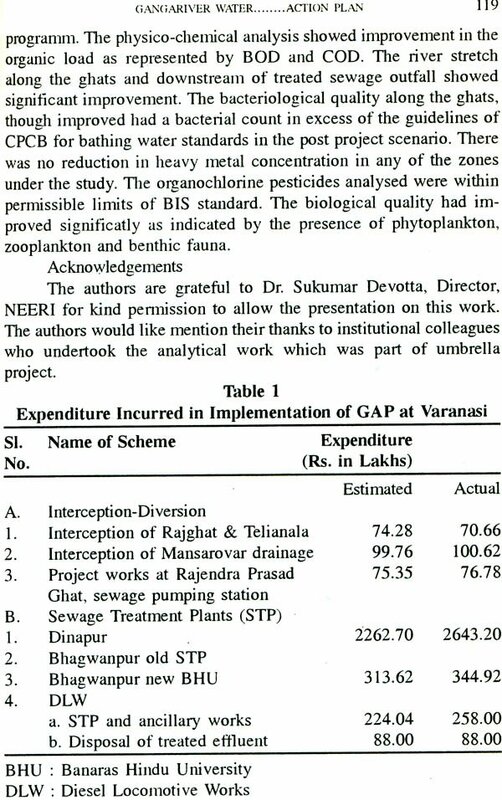 Organisors of the Movement, subsequent to successfully completing the Save Ganga Yatra from Ganghotri to Ganga Sagar in three phases during 2002-2003 (see Rama Rauta in the Volume), have now invited Gandhian workers, scientists and environment activists to a National Seminar “Gandhi, Ganga, Giriraj” being held at Bapuji’s Samadhi in Delhi on the occasion of Gandhi Jayanti, 1-3 October, 2004 to reflect over this vital issue. A symbolic interpretation of the Seminar theme succinctly points out: “Gandhi stands for a culture of Truth and Nonviolence, i.e. a culture of pursuing ethical perfection as the ultimate goal of life and of universal love as it means; Ganga signifies the motherly veneration assigned to our rivers in the country; and Giriraj the bountiful assets bestowed on us through mountains, forests, flora fauna and the wild life”. The Save Ganga Movement is an attempt to pursue the path of experimenting with Truth, following the footsteps of Gandhiji. Its time to go beyond awakening the people to face the challenges posted by the degradation of nature and to gear up for action, thus paving way for a new social order based on ethical values. There are many expositions and commentaries on Gandhi’s role in the struggle against colonialism, his universal message of Truth and Nonviolence, his views on science and spirituality, and his proposition of an alternate model of development in harmony with Nature, emphasizing self-reliance (such as swadeshi and Basic Education) and ethical foundations. The expansive literature, identified as Gandhiana, has been seriously deliberated among political thinkers, economic and social reformers, educators, scientists and environments seeking answers for the future, but ironically ignored or distorted by the establishment and agencies engaged in socio-economic planning. It has led into a certain amount o skepticism about the relevance of Gandhi in face of the inevitable trust for new technologies. With the advent of Information Technology, even the pursuits of ‘culture’ and knowledge’ are regarded a commodities under the pursuits of ‘culture’ and ‘knowledge’ are regarded a commodities under the sweep of globalisation. In this context, a few of our friends, active in the Movement, were initially less enthusiastic about making another addition to the nebulous Gandhiana collection, which may turn out to be merely another intellectual exercise. 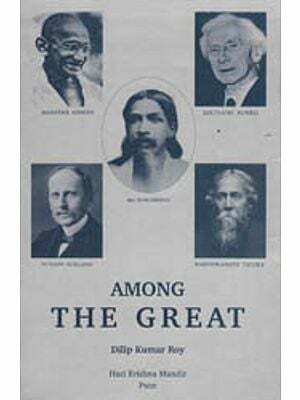 But the Organisors eventually decied in favour of bringing out this anthology to seek answer to the challenges posed by the unparalleled ecological catastrophe which affects the entire humanity, by drawing inspiration from Gandhi’s life and deeds. The collection, as a whole, is an attempt to interpret Gandhiji in the light of our contemporary concerns of ecology – both human as well as material, so as to build firm foundations of sustainable development on an ethical plane. The Volume is divided into three parts: I. Insights in human ecology, II. Conserving our treasures, and III. Complementary reflections. Part I comprises of refection by eminent thinker, scientists, and activists over Gandhian values such as Truth, Nonviolence, Spirituality and Universal Love, Self-reliance and Harmony with Nature, and apply these values to gain insights into human ecology. The abiding faith of Indian tribals in Nature is viewed as a living example of the Gandhian concept of trusteeship (Khubchandani). Gandhiji is characterized as Yug Purush transcending his times (Mashelkar); and is lauded as an ‘Apostle of Applied Human Ecology’, ‘his life – an environment legacy for all humanity’ (Khoshoo). Part III presents reflections of noted luminaries from different walks of life who bear the testimony how Gandhian spirit is still very much alive in tackling contemporary problems such as rural reconstruction, employment of the youth, globalization, communalism, administering law & order, health, etc.. Going through the maddening chase of imitating the Western notions of development, many questions are raised about the relevance of Gandhi in resolving the problems of radically transformed post-colonial reality. Spirituality is interpreted in terms of harmony with life (Swami Tejomayananda). Today a dialogue between cultures is thought of “only in terms to language and not in terms of silence”. Tara Gandhi Bhattacharjee beckons: “Nonviolence and peace are a celebration of our consciousness to honour life and creation. This consciousness should be translated into the objectives of a peoples’ movement for cleaning the human mind of violence and for protecting the environment from pollution”. These studies convince us that, along with the ‘scientific temper’ for sustained development, we need to cultivate the ‘spiritual temper’ for sustained development, we need to cultivate the ‘spiritual temper’ to achieve a ‘quality of life’ in today’s stress-torn world. a. “Me the Master of Universe” syndrome. Western societies, by and large, boast their socio-economic development based on market economies which lure individual to aspire for material comforts by means of subduing Nature. In other words, the plundering of natural resources for short-term gain (as epitomized by exploitation of colonies during eighteenth to twentieth centuries, now labeled as ‘developing’ countries) is legitimized as an index of development. Gandhiji, when questioned about the standard of living for India’s teeming millions, had quipped: “It took Britain half the resources of the planet to achieve this prosperity. How many planets will a country like India require”! b. “Me submitting to the Power of Nature” syndrome. Obsession with moksha (the ultimate transcendence from the life-cycle) among Oriental societies makes individual oblivious to the societal ‘civic’ concern., e.g., single-track projection of personal purification – shuddhii, manifested through veneration of Mother Ganga for earning individual punya. But at the same time, it allows an individual to be callous about the collective pollution of the public space, i.e., the lack of corporate civic sense. A gross insensitivity and indifference of an individual (and well-knit groups, families etc.) to this phenomena continues to perpetuate without any moral turpitude. In the context of socio-economic development, this responsibility is easily evaded to ‘higher’ institutions such as the maaii baap feudal lord, the government, the destiny, and so on. This malady has been increasing in metabolic proportions when replicated on a massive scale. In contemporary societies, with the increasing intensity of technological mediation in our everyday routines, the mass media’s ‘omnipresent’ generalised images, depriving individuals from one’s own primary, personal and practical experience, and threatening the society as a community of communicating are at stake. The conceptual models pronounced by the affluent society and their distortions become the official versions of the happening around the globe (such as indexing population explosion, and standards of living, coverage of conflicts in the Gulf since early nineties and turning the battlefield into a ‘theatre for the media’).